Glovers/Leather needles in bulk quantities of 1000 loose needles wrapped in black paper. Leather needles are sometimes referred to as Glovers needles because years ago they were used by glove-makers. These needles are still used today in all types of leather work, including shoemaking and shoe repairs, belts and leather garments. 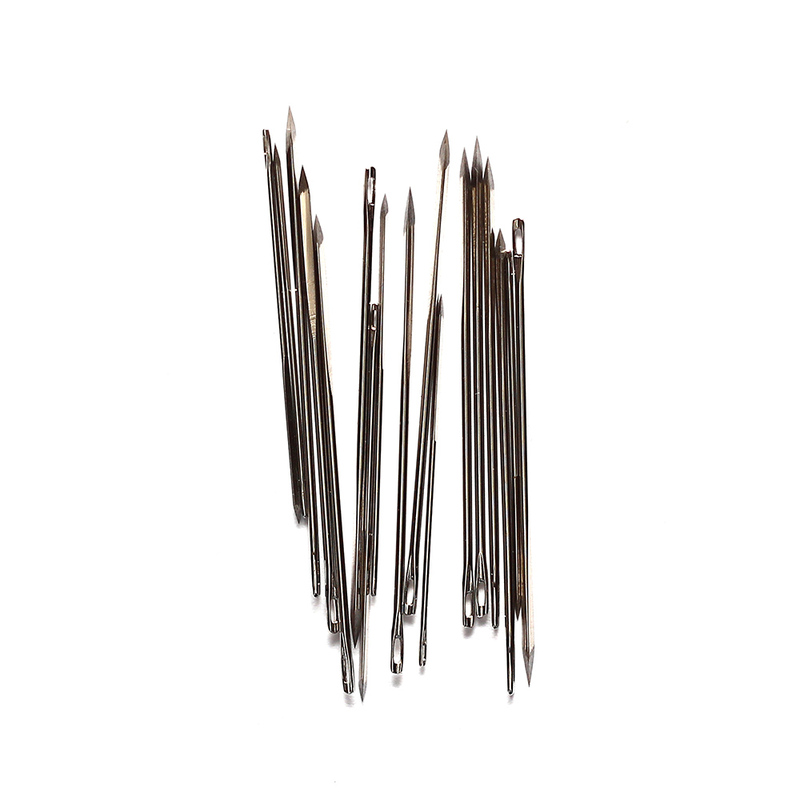 Leather needles have a triangular point which enables them to pierce and pass through tough materials such as leather, suede and vinyl without tearing.